But fellow musicians aren’t the only ones pulling for the duo; Barton Hollow was the number one selling album on iTunes on its first day of release. “I think it’s a typo, a terrible April Fool’s joke,” White cajoles. “We’ve been punked!” Williams and White say in unison, looking at each other as if each knows what the other is thinking. “It is surreal to say the least. We’d be lying if we said we expected it or if it was even a goal,” White adds. “We would rather focus on doing shows and writing songs. The celebration will come later,” Williams says. So what is it about this indie pair that is selling out shows across the U.S, has the number one selling album on its debut release on iTunes, and will soon embark on a Paris tour? Charlie Peacock, producer of Barton Hollow and a longtime friend of Will iams says, “Their songwriting is of the highest quality but comes off effortlessly. That’s a gift. I think I was at their first gig in Nashville at a little club, and immediately got this crazy producer crush on. I would have paid them to work on the recording,” Peacock recalls. 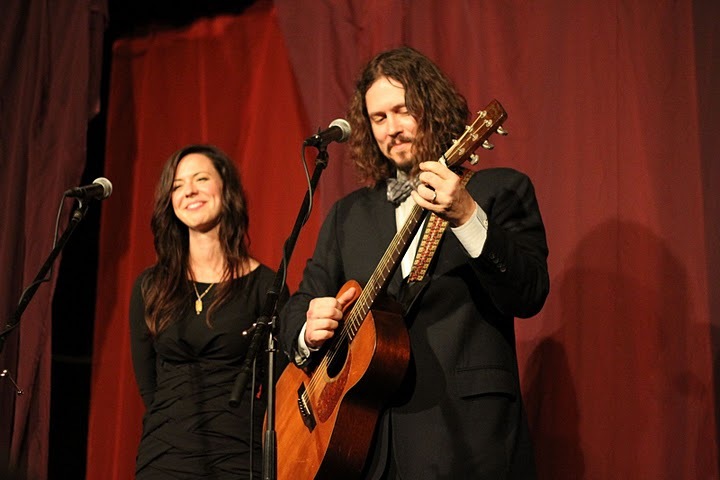 The Civil Wars are hardly new to the music scene; Williams and White are veterans of the music industry and both have achieved recognition in their individual careers prior to The Civil Wars. West Coast native Williams is a respected artist in pop, television and contemporary Christian music, earning eleven Dove nominations during her career. White has been a staff writer for a couple of publishers, and released his self-titled album in 2008. A chance pairing at an invitation only songwriter’s camp in Nashville brought the two together. They were there to churn out singles for specific country groups. As they begin to write, Williams and White sensed something special. “When he started singing, I somehow knew where he was headed musically and I would follow him. That has never happened to me,” Williams says. Although Williams and White come from different music styles, once they sit down something happens. “I don’t think either one of us could put it into some quantitative language. Somehow when we sit down together, we tip our hat to folk and several different genres unintentionally. If it is sad, I think that is what we are drawing out of each other and give the other the freedom to write, feel and express. You have to be friends to draw this out,” says Williams. “Darkness, sadness or bad emotion have a deeper current than a positive emotion. That sticks with me over time. I can recount valleys over my life much more than peaks. I feel a lot of people are that way, but again that is just one of those things that come out and we follow it,” says White on the source of his writing. Yellow paper and a faded picture and a secret in an envelope. And your note underneath my door. “It’s a secret of my family,” Williams says of the song without further explanation. The title cut, Barton Hollow, is a dark and brooding lament of guilt and angst and foreboding of the devil and salvation. “It’s a real place near here,” White says, giving a nod to the community of Barton, Alabama, a few miles down the road from Muscle Shoals. This entire journey has been serendipitous for the pair since the first meeting three years ago in Nashville, including their name. “At the advent of the music we knew we wanted to create a mood. We each are married, but we are conscious of fighting for each other in our music. My husband, Nate (Yetton), and I drive past this Civil War monument alongside the interstate in Nashville. We thought, ‘Why not ‘The Civil Wars?’” Williams explains, “I suggested it to John Paul and he liked it. The domain name ‘The Civil Wars’ was even available for our website,” adds White.